Asbestos is a hazardous substance that is no longer used in the building industry. However, this does not mean that it is not featured on today’s buildings. The product was used in the 1980s and as late as the 90s. In fact, the Asbestos Prohibitions Amendment was put into force in 1999. At that time, chrysotile was the only asbestos allowed for used in the construction industry as crocidolite and amosite were both banned in 1985. Therefore, this hazardous substance still poses a problem for homeowners and business structures in the UK. If you live or work in a building that was built after 2000, it is unlikely that you will find that it contains asbestos. If the building was built before this time, it needs to be surveyed to ensure its safety. That is why jobs in asbestos today are trending and in high demand. If you want to ensure the health of the public, you will be well respected if you take on this type of work. You can use your skills in direct abatement or you can supervise others. Developing a skill set in this field can be accomplished, provided that you know the prerequisites of a job. Asbestos is still found in older homes as well as in certain products such as ovens, fire blankets, oven gloves, ironing surfaces, and insulating mats. It was also used in insulation materials in a wide array of home and commercial sites. 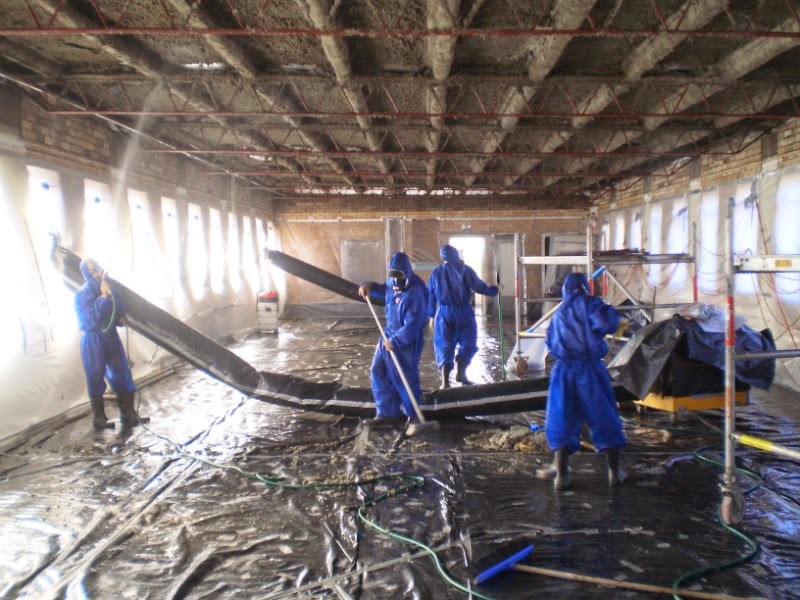 Usually, a demand for asbestos inspectors is prompted by crews in the construction industry. For example, if a construction contractor wishes to knock down a building, the demolition cannot take place without an asbestos survey. Normally, asbestos will not harm you if it remains dormant and untouched. However, if a building is demolished, it first must be checked as the particles in the air can aggravate the lungs and lead to serious health problems at a later date. Asbestos is an insidious material that seemed harmless for years. However, people began getting sick about 20 years after they came into contact with the fibres. The fibres are indeed an issue as they embed themselves into the lining of the lung and cause respiratory distress. By the time a diagnosis is made, a person with asbestosis, for instance, has little time to live. If you want to make a difference in the world with respect to public health, you will find that working in the asbestos field is both challenging and rewarding. You just need to go to a placement agency and company that can lead you to the job that meets your criteria and qualifications. By working with an employment specialist, you can realise your goals of being a professional in the asbestos abatement field. Check out the opportunities today online for yourself. You just need to review the job listings and find out what you need to acquire to work as an asbestos specialist. By making this your goal, you will find that you have plenty of job opportunities in this industry.